A safe and scalable procedure for the synthesis of 2-oxopropanethioamide, an intermediate in the synthesis of a potent β-secretase (BACE-1) inhibitor, from the reaction of acetyl cyanide with hydrogen sulfide gas under continuous-flow conditions has been developed. 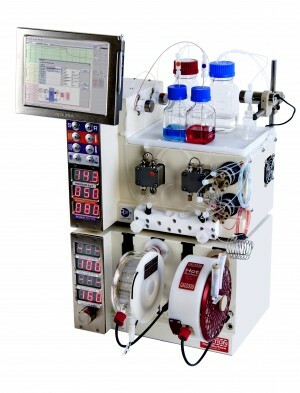 The toxic gas could be accurately dosed using a mass-flow controller or a peristaltic pump. The reaction proceeded smoothly at room temperature in the presence of a small amount of triethylamine as basic catalyst. After a residence time of 15 min, excellent yield (96%) and purity (>99%) were obtained for the target compound. 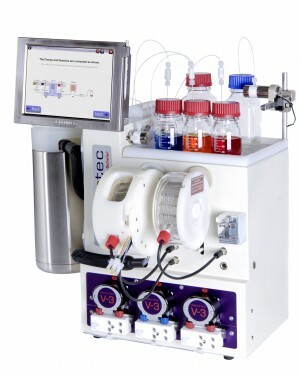 The high reaction selectivity permitted a simple workup procedure consisting of evaporation of all volatiles.